With more than twenty seven years of active involvement in the Pittsburgh and Western Pennsylvania legal community, first as a practicing attorney and for the last seventeen years as a legal recruiter, Dianne is uniquely positioned to identify and place attorneys in diverse practice areas and at all levels of experience. She has placed countless associates and partners, both individually and in groups, and has facilitated law firm mergers. 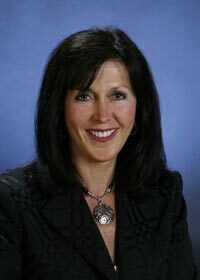 She has worked with law firms and corporations of all sizes and types. Dianne graduated from the University of Pittsburgh School of Law in 1985. She also holds a Bachelor of Arts degree, with a double major in biology and in English from Washington & Jefferson College, conferred in 1982. As a practicing attorney, licensed in both Pennsylvania and West Virginia, Dianne has litigated cases throughout both states for a mid size firm and as staff counsel for a national insurance company. After practicing law for ten years, Dianne became the managing Director of a Philadelphia based legal recruiting agency. She later joined Susan Fletcher, someone she had known since her law school days, at the then agency of Susan Fletcher Attorney Employment Services. The agency later became Fletcher & McClelland Legal Search. In her seventeen years as a legal recruiter, Dianne has developed solid relationships with members of law firms and executives of corporations. The hallmark of her dealings is her tenacity, precision, trustworthiness and unwavering attention to the client's specific search. Although much of her work has been focused in Pittsburgh and the surrounding region, Dianne has also been placing attorneys throughout Ohio and West Virginia for over a decade. In addition, she has placed attorneys in many other states through her own efforts as well as through her associations. Dianne enjoys excellent working relationships with fellow recruiters throughout the United States and taps into those relationships when it is in the best interest of her clients. Dianne is a member of the National Association of Legal Search Consultants (NALSC), a professional organization committed to a highest standard of ethics in the field of legal recruitment. Dianne has maintained her memberships and actively participates in many organizations including the Allegheny County Bar Association, The Women's Bar Association of Western Pennsylvania, The Allegheny County Fellows, The Women in the Law Division of the ACBA, the Western Pennsylvania Christian Legal Society, the Washington County Bar Association and alumni associations of The University of Pittsburgh School of Law and of Washington & Jefferson College. Dianne is a member of the Heart Ball Committee for the Washington Mon Valley Heart Ball, a division of the American Heart Association She also supports many veteran's associations, World Vision, the Washington County City Mission, and several humane society charities. Dianne and her husband, Damon Faldowski, are supporting Alumni Members of Washington and Jefferson College. Request to connect with Dianne on LinkedIn.